Spencer Woolston won the Men's 30-34 divisionwas the top Utah competitor. He finished 18th overall. 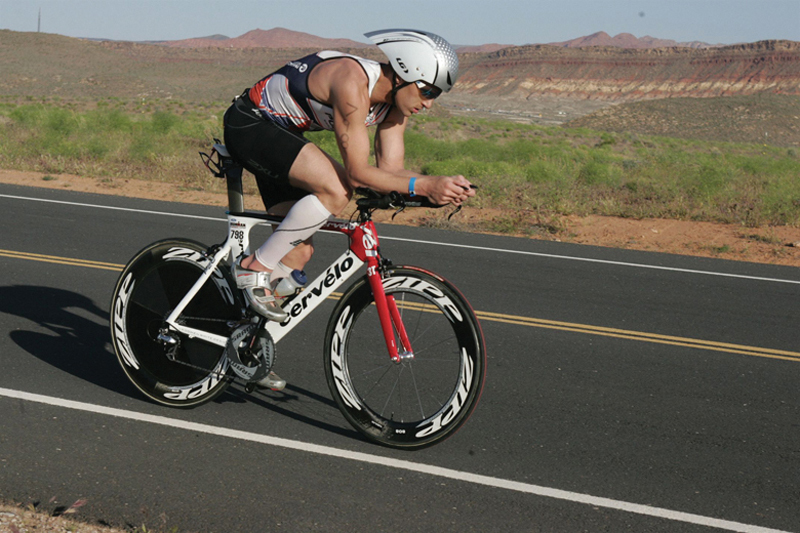 In its second year, the event certainly didn’t disappoint in delivering one of the most challenging triathlons in the United States and further cementing Ironman St. George as Utah’s premier multi-sport event. The May 7 race attracted numerous professional and elite amateur triathletes from around the world and they looked at the event as an early opportunity to qualify for the Ironman World Championships in Hawaii. The race, won by Switzerland’s Mathias Hecht with a time of 8 hours, 32 minutes and three seconds, began at Sand Hollow State Park for a 2.4 mile swim and took participants on a 112-mile bike ride that included two loops around the notorious Veyo Wall. 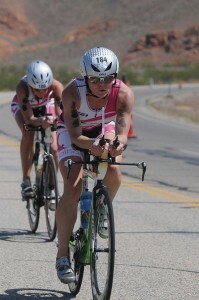 Heather Wurtele, a Canadian who spends several weeks each year in the St. George area training specifically for Ironman St. George, was a repeat winner on the women’s side, blistering the 140.6 mile course in 9:30:33 – 36 minutes faster than her nearest competitor. Naturally, hundreds of Utahns trained for the big race in their back yard and several had tremendous success. Spencer Woolston, from Highland, was the fastest Utahn, crossing the line in just 9:33:36 and was the fifth fastest amateur while winning the Men’s 30-34 division and posting the 18th best time overall. Woolston scorched the bike course with the eighth fastest time over the 112-mile course in just 4:58:09. North Salt Lake’s B.J. Christensen used a strong swim and marathon to finish with a time of 9:48:49, 28th overall – punching his ticket to another appearance in Kona. Utah’s Jared Preston also had a strong race, placing third in the men’s 40-44 field with a time of 9:57:19. The top Utah woman was Alison Fillmore Black. The mother of four from Salt Lake City dominated the women’s 35-39 field to win in a time of 10:47:54 and placed 132nd overall among the nearly 1,700 racers. Emily Ure, also from Salt Lake City, captured the win in the women’s 25-29 division with a time of 11:12:20. Woolston said he was pleased with his result but had set a very ambitious goal and felt a little disappointment in not being the first amateur to cross the finish line. After blowing the field apart with his bike split, Woolston began the marathon as the first amateur out of T2. But some gastro-intestinal issues caused a few problems. Tough, of course, is an expected word used to describe any Ironman race, let alone one run in 95 degree temperatures and featuring some of the most demanding climbs on any bike or run course. The 2012 version of the race is already accepting registrations and will be held May 5. The event is a huge economic boost to the St. George area with an estimated $5-6 million generated during the weekend with millions more spent in the area during pre-race training trips to the course. 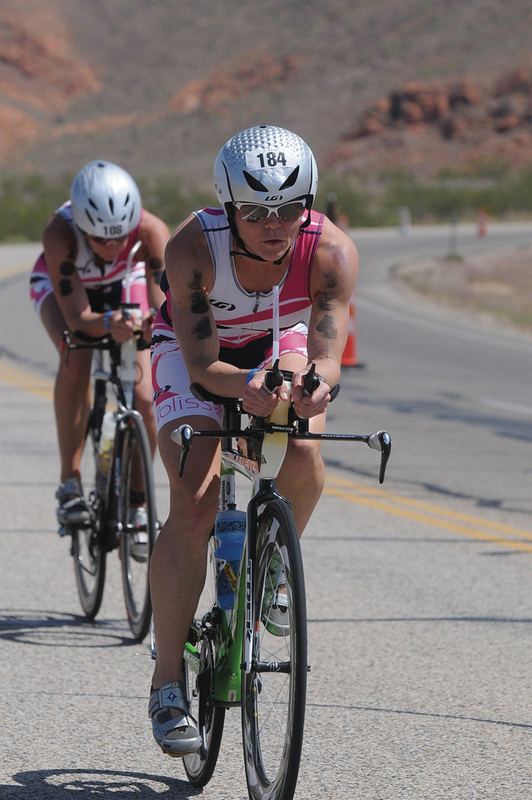 California (431) was the only state to bring more athletes to the race than Utah, which had 307 triathletes register.